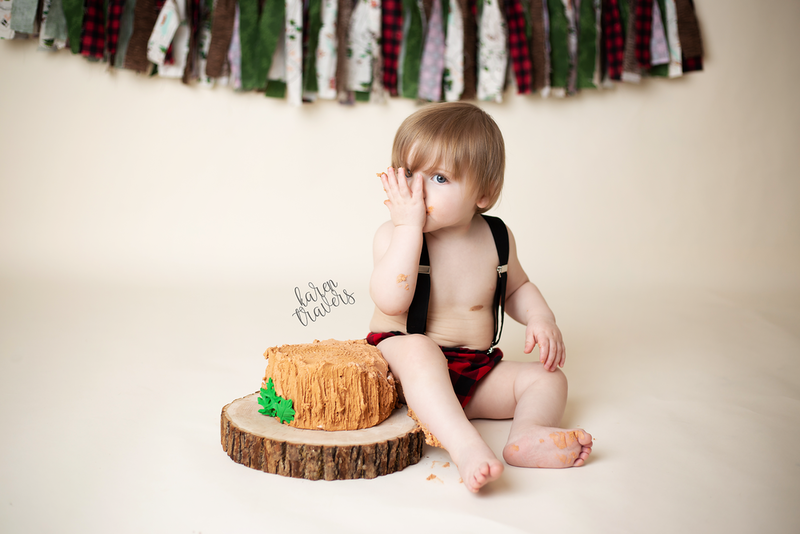 Anchorage Cake Smash Photographer | Cake Smash Sessions! Let’s talk Cake Smash Sessions! Cake smashes are one of my favorite things to document. I’m going to talk a little bit about my cake smash session process, and include some tips for cake smash sessions with your little one. I am so happy when people choose me to be their photographer for milestone sessions like this! My cake smash sessions can be as themed or as simple as you would like. I LOVE to get creative with a theme, and I love it when people let me run with a theme and create something unique and special for them. I work exclusively with Lesley’s Cakes, LLC in Eagle River, and her cakes are AMAZING! My style is colorful and fun, I love capturing personalities, and it isn’t always smiles. 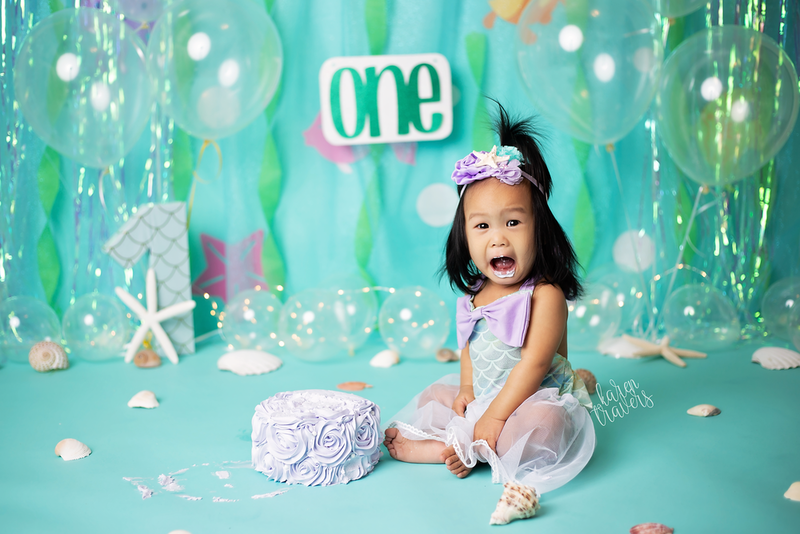 My daughter is now 5, but when we did her cake smash, she cried her way through most of the session and I still laugh every time I see those photos. Aren’t there worse things than being forced to eat cake? You’ve chosen your photographer, awesome! Now you need to choose a theme. Are you going to go simple, or do you have a fun theme in mind? I have a really hard time choosing between these two things. I have done some simple cake smashes, and some very involved themed sessions, and I see the draw of each. If you’re thinking a theme, but don’t know where to begin, start by looking at what your child likes (or hey, they’re a baby, what do YOU like? ), think characters, tv shows, books, colors, etc. Pinterest is always a wealth of ideas, it’s also another great place to look for cake smash themes. I also have a “bucket list” of cake smash session ideas that I would LOVE to do and if you choose one of these, you’ll receive $50 off your digital package you choose. We’ll work together to choose a date for your session. Please keep in mind that if you need a weekend, my weekends tend to book up very quickly, so booking as far in advance as possible is recommended. In choosing this date and time, you need to keep a couple of things in mind. Are you wanting these photos back for a birthday party? If so, you’ll need to book in advance before their birthday so that you have enough time to choose your proofs, me to edit them for you, order your prints, etc. For my clients, I recommend 4-5 weeks in advance. I also have a lot of clients that want the session to be as close to the baby’s birthday as possible, and that’s totally fine too! After you have chosen a date and are booked, I will get started planning and ordering! 4. The day is here! Let’s get smashed! If you have chosen to have me provide everything, mostly you just need to show up with your baby, but there are some things you can bring along that can be helpful. Extra clothes for you! This happens 99% of the time. When a baby is finished and completely covered in cake, the very first thing they want is for you to hold them or pick them up. Some parents leave as covered in cake as their baby, some parents are luckier, and only get a few spots, but I haven’t seen very many parents leave my studio with zero cake on them after a cake smash. Water. Babies get thirsty, and after eating cake, they’re going to want to have a drink. A sippy cup of water almost always comes in handy! Baby is going to get messy, and I am ready for that! I have lots of towels in my studio that I use to wipe baby down and dry them off. You can bring wipes, but they aren’t usually necessary. After your session, I will go through your photos, and get rid of any obviously bad ones (eyes closed, out of focus, etc), and I will send the rest to you in a proofing gallery. When you have a chance to sit down and look at your photos, you will choose the ones you would like included in your package. You can always upgrade to more images! I know it’s super hard to choose photos and leave other behind when it’s your baby. After you have chosen your images, let me know ASAP. I will take your proofing gallery down, edit the images you have chosen and send them your way! I do include both color and black and white images for you. Anchorage Cake Smash Photographer | "R" Under the Sea Smash!